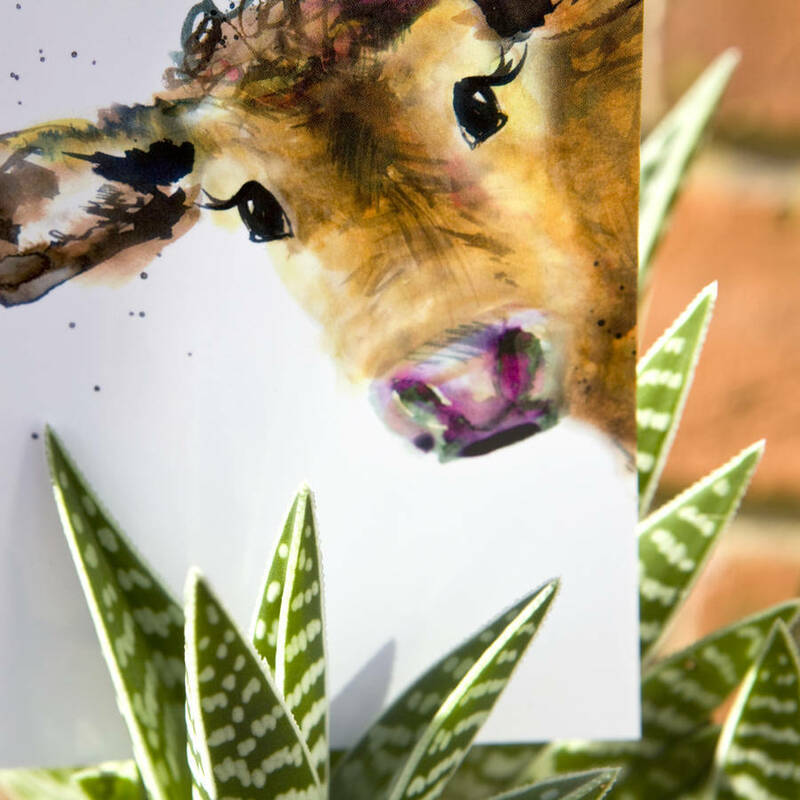 Silky postcards printed to the highest standard. 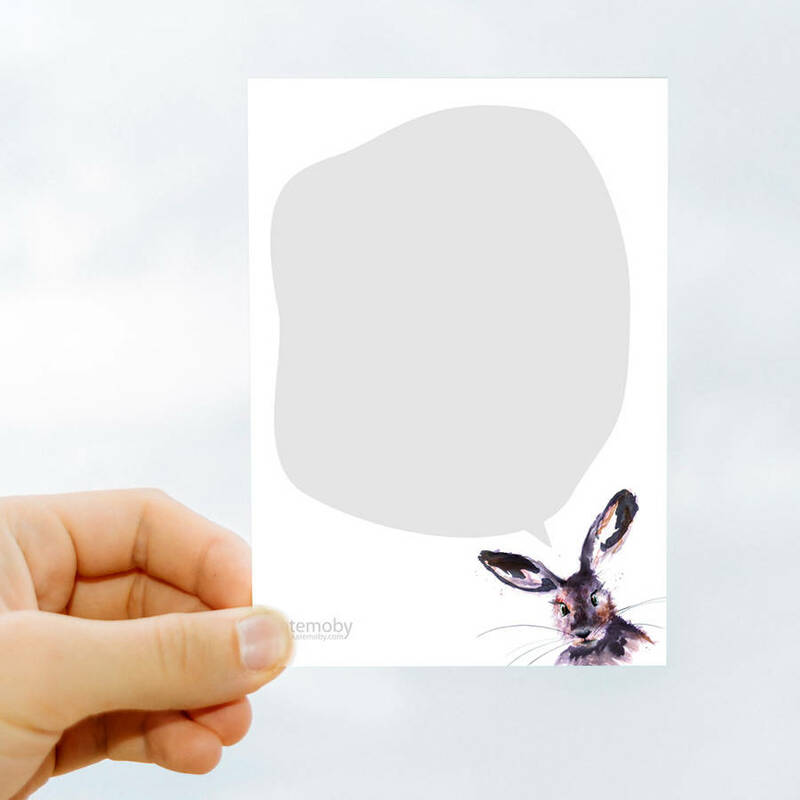 Featuring my Inky Cow hand drawn illustration on the front of each card, and a cheeky mini hare in the corner with a speech bubble for all your lovely thoughts on the reverse. Perfect for quick notes, thank you letters, pin up pictures and children's invitations. Available in a range of pack sizes. You can opt to have a range of packaging options, which is perfect to make the postcards more gifty if you'd like. Choose from either a simple cello bag sealed with a sticker, or a luxury eco-friendly gift box, paired with envelopes. Just choose from the drop down menu to decide, and remember to select the number of envelopes to match the pack size. 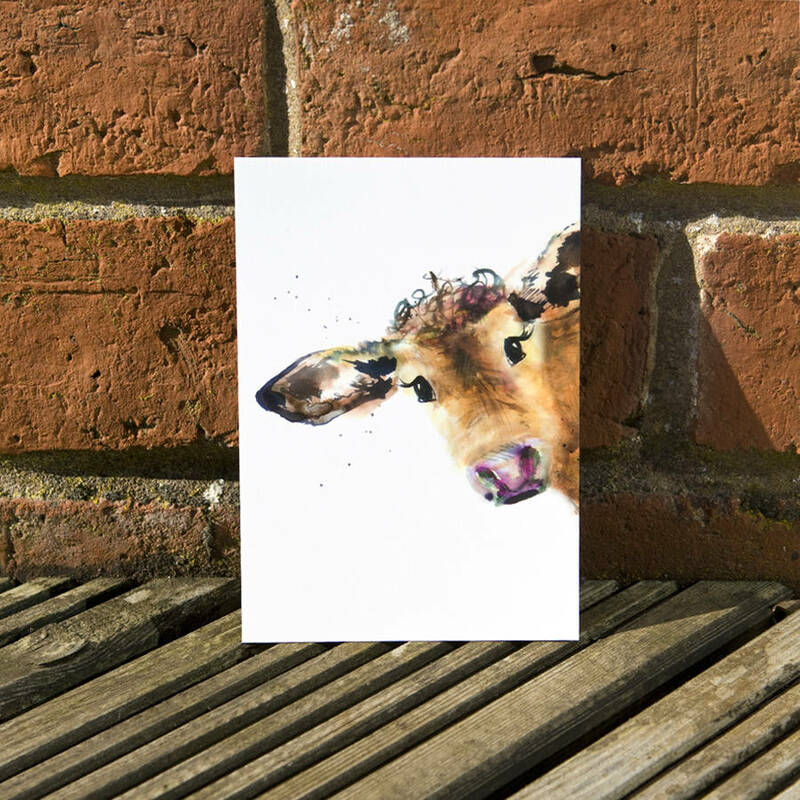 Proudly printed in the UK onto sustainably sourced 350gsm premium card stock, with a silk finish. 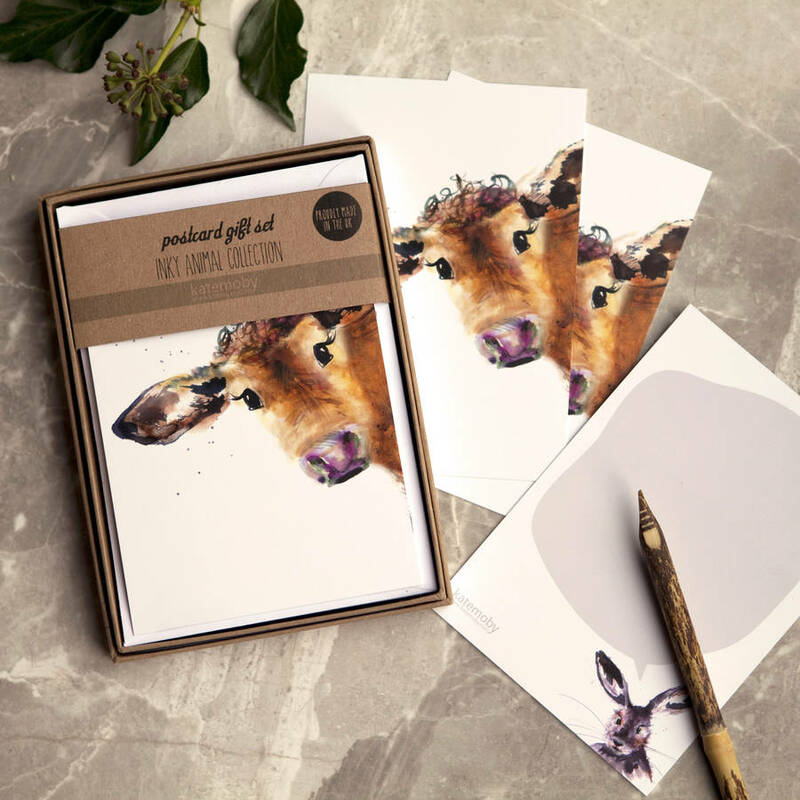 The gift box is made from recycled card, lined with a velvety base.